Fan Expo 2017 and DC Comics Rebirth Spoilers for Superman In Action Comics #989 follows. During Fan Expo 2017 week, DC Comics revealed the final cover to Action Comics #989 which is part 3 of the 4 part The Oz Effect that will see Mr. Oz’s identity exposed. …yet now looks like this. 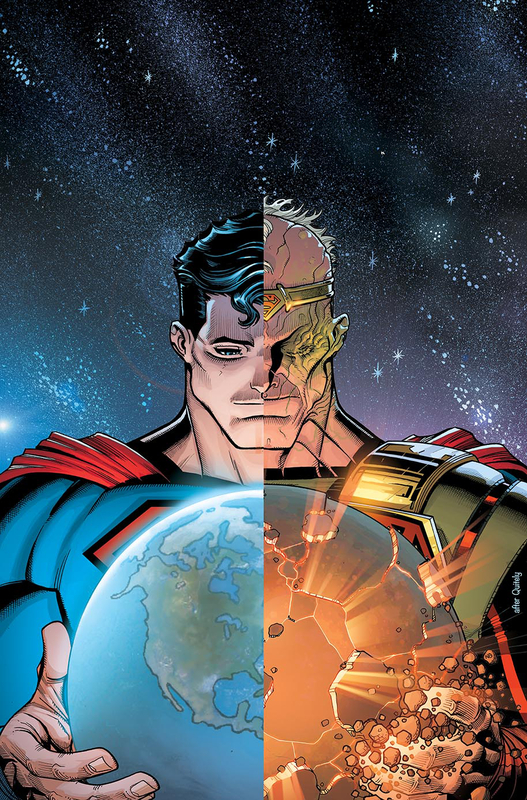 Mr. Oz sure looks like a Kryptonian, perhaps Superman’s dad Jor-el if the cover to Action Comics #987 is to be believed. Yet, how does this all tie into Dr. Manhattan and the Doomsday Clock #1?